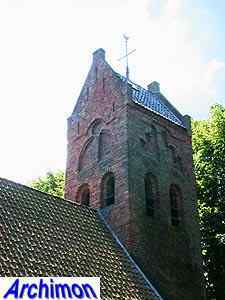 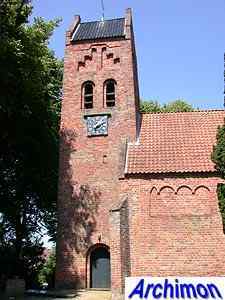 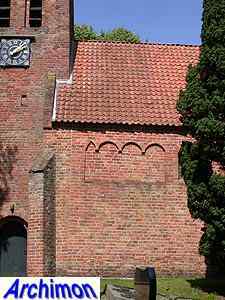 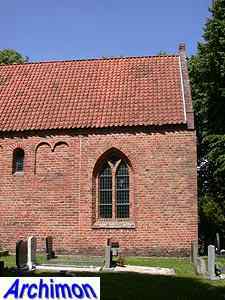 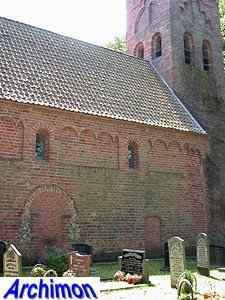 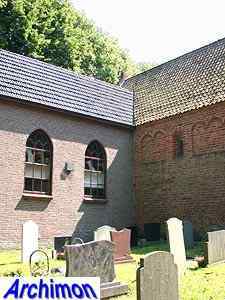 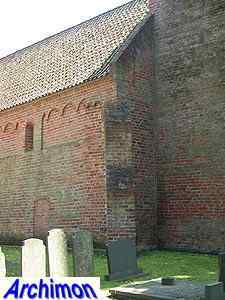 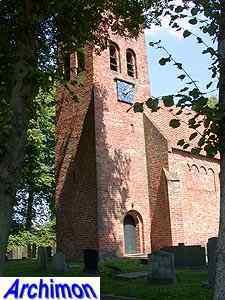 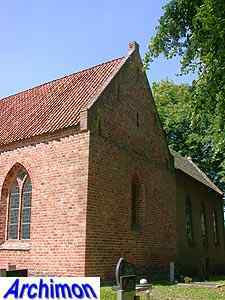 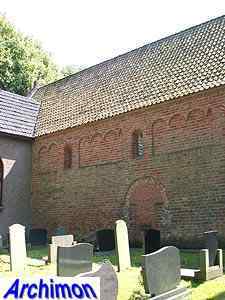 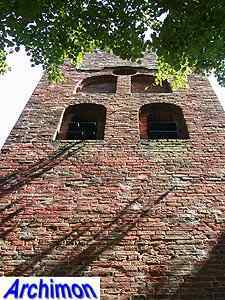 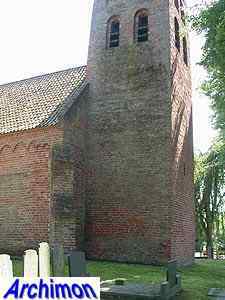 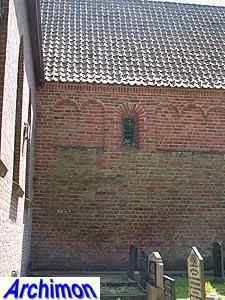 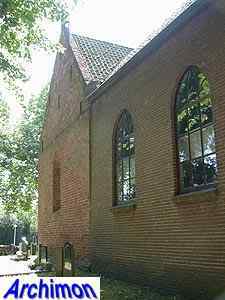 The church of Murmerwoude is a one-aisled brick , largely Romanesque building with a straight choir and a saddle-rooftower. 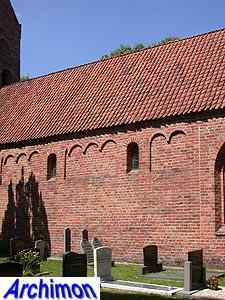 It was built in c. 1200 and originally had a semi-circular choir, which in the 16th century was replaced by the current one in simple Gothic style. 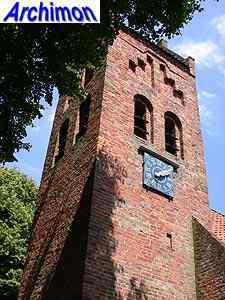 The tower dates from the 13th century and originally was crowned by a four-sided spire, which in c. 1772 was replaced by the current roof. 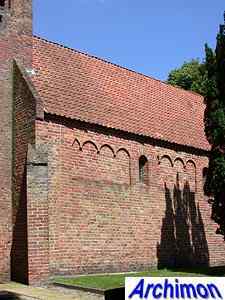 In 1914 the church was extended with a new space built at the north side of the choir. 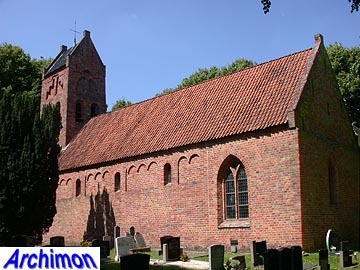 The church was restored in 1962-1963, resulting in the removal of a coat of plaster, closing of non-original windows and the reconstruction of the Romanesque decorations in the walls of the nave.